Φ(i) = 0.1p(6 – i) + 0.1p(7 – i) + 0.1p(10 – i) + 0.3p(14 – i) + 0.2p(17 – i) + 0.1p(20 – i) + 0.1p(25 – i). They look too much like regular English letters. 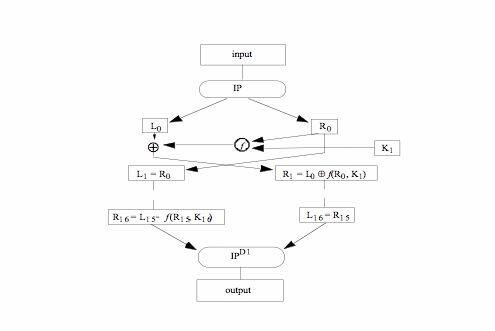 Idea is to smooth the statistical frequencies to make cryptanalysis harder. key V, letter T: follow V column down to T row (giving “O”). 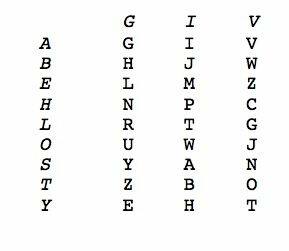 Key I, letter H: follow I column down to H row (giving “P”). 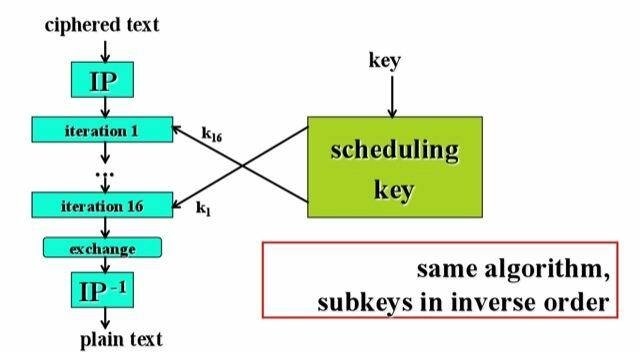 Approximations, such as using pseudorandom number generators to generate keys, are not random. 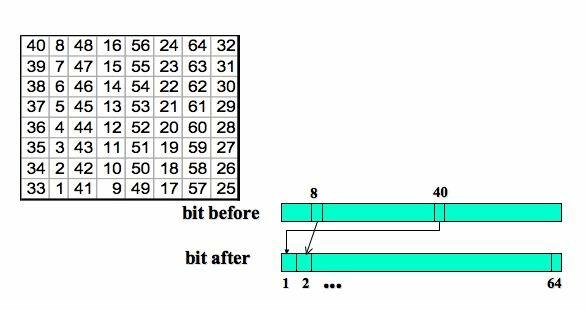 outputs 64 bits of ciphertext. 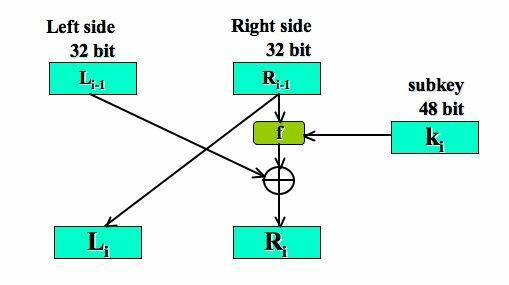 performs both substitution and transposition (permutation) on the bits. 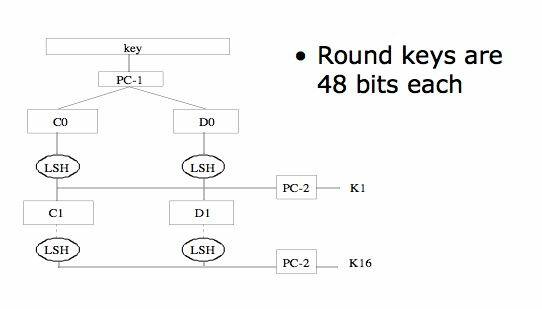 Cipher consists of 16 rounds (iterations) each with a round key generated from the user-supplied key. 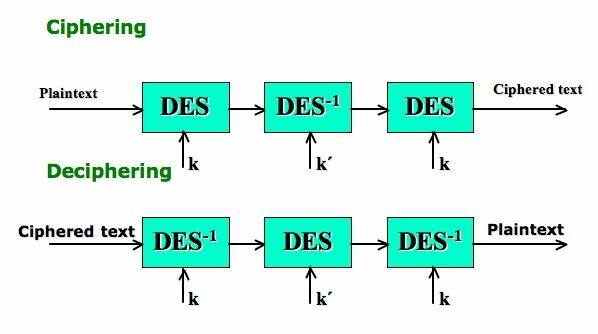 Diffie, Hellman said in a few years technology would allow DES to be broken in days. 144.115.188 seconds ≈ 834 days ≈ 2 years and 3 months to test 255 ≈ 3,6 ·1016 keys. Outputs of fourth box depends on input to third box. 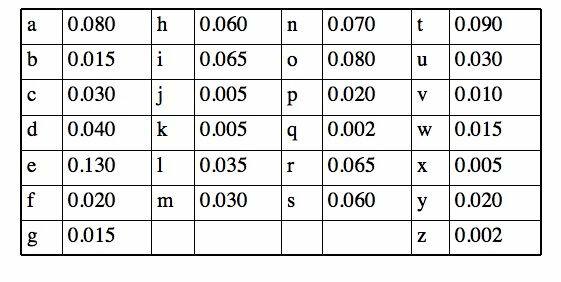 How to cipher text longer than 64 bit? 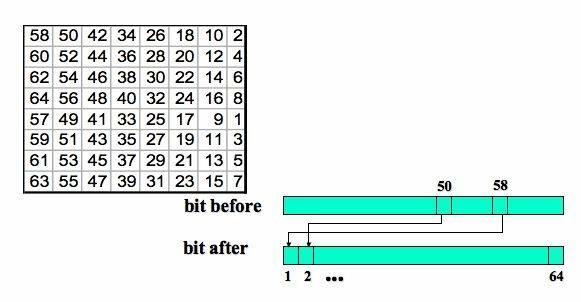 plaintext x = x1x2…xn (in n blocks of 64 bit). 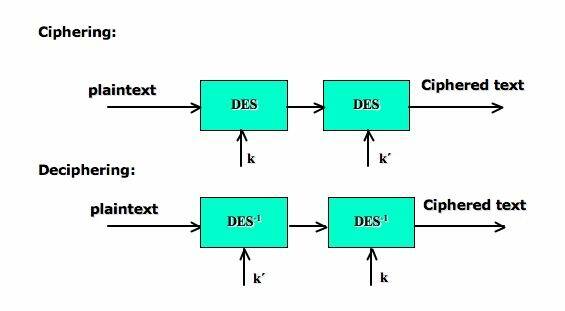 Ciphered text y = y1y2…yn. Plaintext x=x1x2…xn (in n blocks of 64 bit). Inizialization vector IV is public. 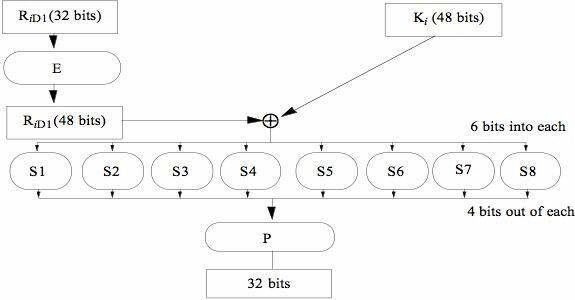 Plaintext x=x1x2…xn (diviso in n blocchi di 64 bit). Block lenght = 64 bit. 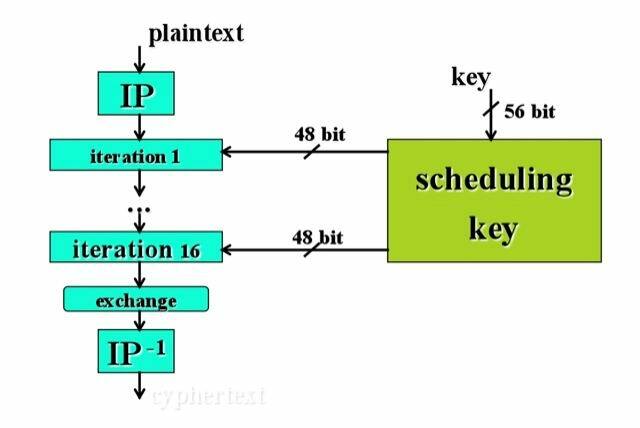 key (k, k´) of 56+56 = 112 bit.